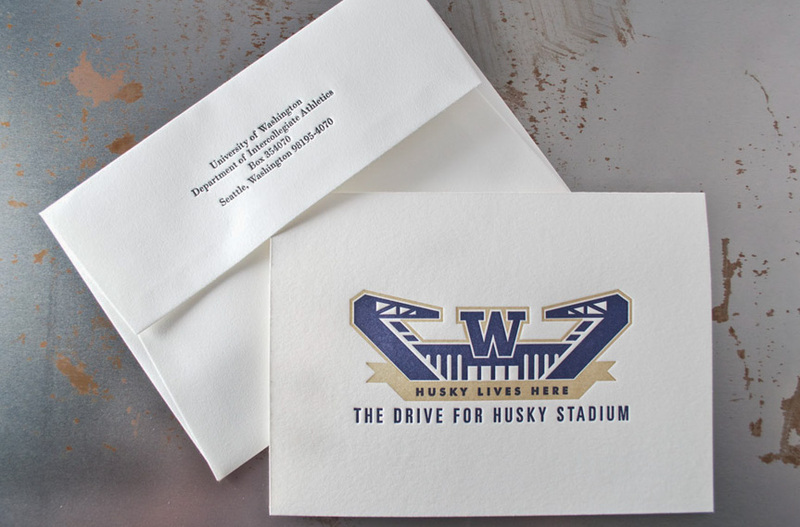 When the University of Washington graphic design department contacted us to print some thank you card invitations for all the beneficiaries to the new Husky Stadium, we were more than happy to help. Not that we are huge husky fans, but growing up locally here in seattle and driving by the stadium daily we have a local sports camaraderie. We have a great appreciation for their new branding and the new stadium looks great with a mix of old and new. 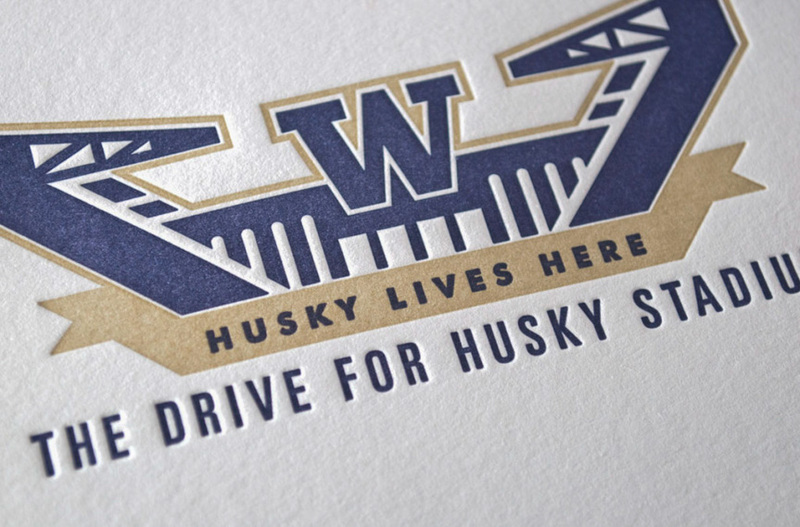 The design is perfect for letterpress, its modern type and clean stadium lines make it great for the printing process. We are glad that we were able to be apart of such a cool project! This project was custom printed in our shop. If you are interested in having your project designed or printed, fill out our custom estimate form for a quote.